Price Paid: The ridiculously low price of $1.50 for a box of 12 (or $0.13 per bar). 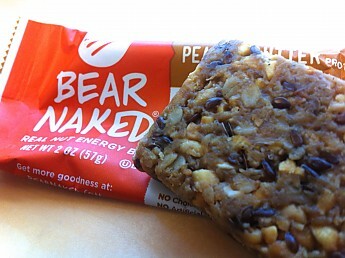 Basically a moist peanut butter no-bake cookie in energy bar form. 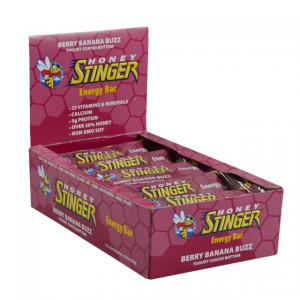 At a lower cost than most, it is a fine alternative to other energy bars, but nothing screams excellent. Cost, roughly $1 per bar, but I found at super discount price. Strong peanut butter flavor with oat texture (great for peanut butter fans such as I, but I could see this being a con for some). Carried by many majors grocers in mid-Atlantic. Nice consistency, and still edible even when cold. Like most bars, buying by the case is much cheaper than individually. Lack of flavor complexity or depth. Not much going on besides peanuts, peanut butter and oats. Ground flax seed would be preferred instead of whole flax seed that inevitably end up in stuck in teeth. My wife and I have gone through one box so far, with me consuming the lion's share of them (12 to a box). Most of those were eaten during all-day fall and winter hunting excursions, with the exception of a few going on a short day-hike with us. For some perspective, a typical hunting day has me awake by 4am, in the woods by 5:30am, and lots of variation of sitting still, hiking to and from different spots, and with any luck, hauling/dragging lots of extra weight at day’s end. All that said, I burn calories and need energy while hunting. I also need something that is still edible even when it’s been exposed to sub-freezing temperatures all day. This bar has provided all those things. This bar has done a mediocre job of meeting my energy needs and keeps those hunger pangs at bay. 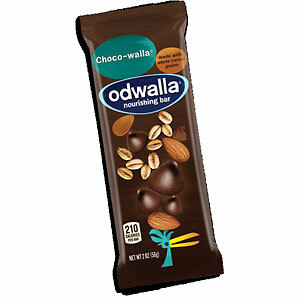 For me, this is a 4-5 bites per bar snack. 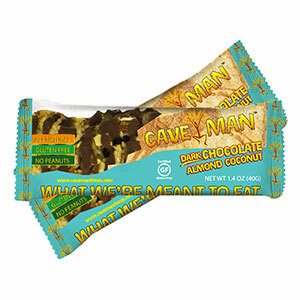 I've learned that this bar is a good addition to day-hikes or hunting days, but does not take place of other food needs. I typically take something salty like jerky, something sweet like cookies, and something that is both sweet and salty, such as this bar, as well as something more substantive like a sandwich or leftover pizza, and of course, water. 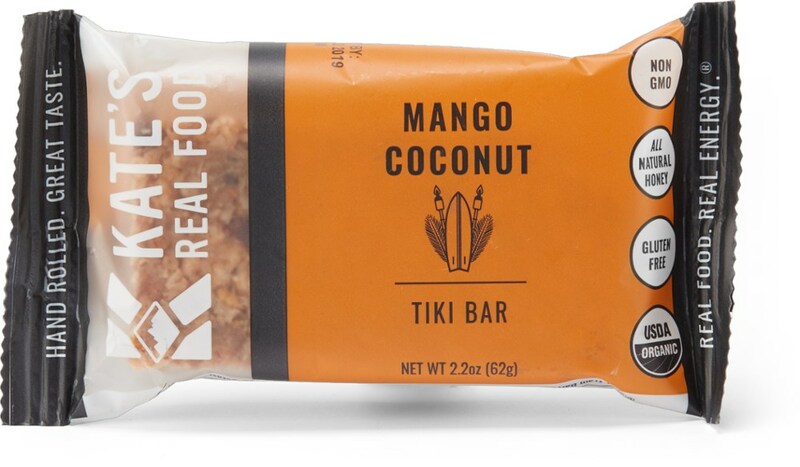 I have yet to take this on any overnight trips, but could easily see where it would be a useful addition of flavor and calories, but wouldn't go depending on this as a meal. 1 bar = 57g or 2 oz. 1 bar = 68g or 2.4 oz. 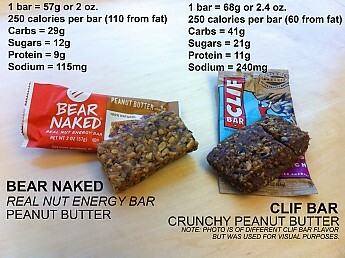 To sum up those numbers, the Bear Naked bar is a little smaller than its Clif contemporary, has the same amount of calories, fewer carbs, almost half the sugar and less than half the sodium. Fresh, moist, chunky peanut butter no-bake cookie (but not the dried out three-days old kind). If you've had such a cookie, you know what I'm talking about. If you haven't, basically take oats and chunky peanut butter (along with some sugar, milk and butter) and make a cookie of it. 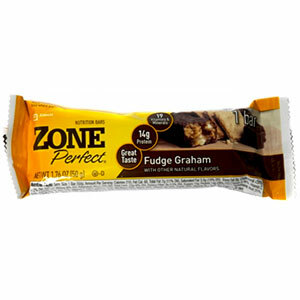 Much less processed taste than other bars I've had, and doesn’t have that dry feeling of many other bars. Flax seeds, while they give it the appearance of making it more healthy, don’t really do much in this bar. Ground flax seed would probably suit this bar better. They say. "Real Nut Energy," "100% Natural," "No hydrogenated oils, no artificial preservatives, no HFCS, no monkey business." I say, "Great, but more variety of nuts please" and "How come no organic ingredients while the energy bar industry seems to be heading (headed) that way?" 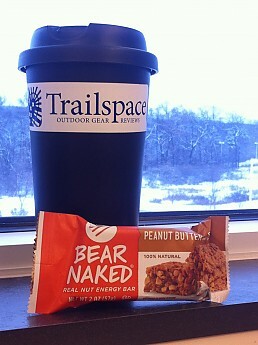 Peanut butter lovers who need that extra little something to help them get through the day, whether it be on the trail, at the office, on the slopes, in the woods, etc. Now I'm hungry! Thanks for the review, KK. Well now I want to make peanut butter cookies! Thanks for the helpful review, Kiwi. My favorite granola bar is this Samak Stickie: http://samaksmokehouse.com/shoppingcart/details.php?prodId=66&category=7 Since I don't live near Samak Smoke House, I'm going to try to reproduce them myself. Great price, I like hearing about new brands too. Thanks, Kiwi for sharing! Thanks. @Alicia: If only Utah was a little bit closer. Looks good though. 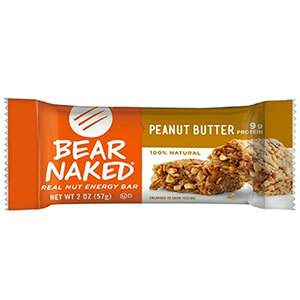 I like the Bear Naked cereals so now I'll need to try and find their bars. Nice write-up. Thanks for the review! I eat the cereal every morning but am not a fan of peanut butter, so I'll see what other bar flavors I can find. Hopefully hey have more than one. 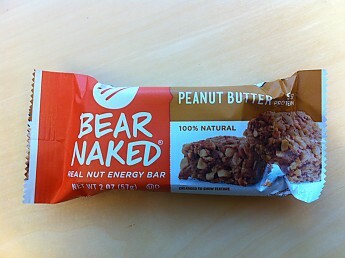 The Bear Naked Peanut Butter Energy Bar is not available from the stores we monitor.